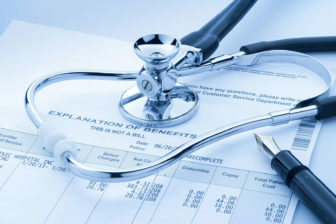 Washington – With little hope of shoring up the Affordable Care Act in Washington, congressional Democrats, including the members of Connecticut’s delegation to the U.S. House, are asking governors and state legislatures to help. Led by Rep. Rosa DeLauro, D-3rd District, the five members of Connecticut’s House delegation wrote Gov. Dannel P. Malloy last week outlining what they say are steps the state can take to prevent another sharp increase in health insurance rates and a rise in the number of uninsured residents — by as much as 21 percent. “In the absence of a commitment from President Trump and the Republican-led Congress to protect American’s access to health care, states can and must step up to ensure families are protected from crushing health care costs…” the lawmakers wrote Malloy. But Connecticut may be limited in what it will do to strengthen Obamacare or shield it from attempts to gut it, because there isn’t sufficient political will for some measures or money for others. Republicans in Congress have failed to garner enough support to repeal and replace the Affordable Care Act, but they and President Donald Trump have taken several steps that undermine it. One is to end the “individual mandate” next year that requires nearly all Americans to purchase health insurance. The mandate was abolished in a massive federal tax bill approved by Congress this year. The mandate penalized those who don’t have coverage – either through their employer, a government-run plan like Medicaid, or purchased individually on the market. ACA supporters said the threat of those penalties, imposed by the Internal Revenue Service, encourages young, healthy people to buy insurance, making the pool of those insured less risky for insurers and lowering premiums for everyone else. “Passing a state-level individual mandate would both increase coverage and reduce premiums for consumers,” the lawmakers’ letter to Malloy said. They said without the mandate, insurance premiums would increase by 10 percent each year. Malloy wanted Connecticut to be one of several “blue” states that imposed a state individual mandate. But two bills that would do so, one drafted by Malloy and the other by the legislature’s insurance panel, failed in March to get out of committee. “If we don’t come back to it this year, I think we’ll come back to it next year,” said Rep. Sean Scanlon, D-Guilford, House chair of the Insurance and Real Estate Committee. “As it happens, Governor Malloy shares these goals and has already taken action or is supportive of legislation that would protect Connecticut residents, most notably his proposal for a state-level individual mandate and his support for the codification of essential health benefits,” Appleby said. The Trump administration also ended payments to insurance companies that helped them lower co-payments and deductibles for lower-income customers. Insurers still have to provide those subsidies, but no longer receive any money from the federal government for doing so. This resulted in substantial rate hikes this year in Connecticut and other states. The next blow to the ACA will come when the Trump administration writes its final rule on short-term insurance plans, which is expected soon. Under current law, people can purchase these plans for three months as a stopgap between long-term coverage. But Trump would allow people to purchase these plans for as long as one-day shy of 12 months. Unlike other health insurance policies, they aren’t guaranteed to be renewable. That means consumers would have to go through the process of buying a policy again. And if they’ve developed an illness considered a “pre-existing condition,” the insurer could deny coverage. That can’t happen under ACA-compliant plans. Also, short-term policies don’t have to include coverage for the ACA’s “essential health benefits” – such as maternity, mental health and prescription drugs — and have caps on how much they pay for your condition and large deductibles and out-of-pocket expenses. It’s thought that young, healthy people will purchase these policies because they will be less expensive than comprehensive plans, which will go up in price since their customers will become older and sicker on average. State insurance commissioners will decide whether short-term plans are sold in their states and which ones would be available in the marketplace. “Some of these plans may provide significantly less coverage and consumer protections than comprehensive plans,” the letter from the National Association of Insurance Commissioners said. Trump also will allow employers and groups of people with common interests to buy association health plans. Like the short-term policies, association plans don’t follow coverage rules like those that are ACA-compliant, and don’t have to provide essential health benefits. The delegation called the association plans bare-boned “junk” plans and asked Malloy to keep them out of Connecticut. The lawmakers’ letter also asked Connecticut to make use of a waiver in the Affordable Care Act that allows a state to establish a reinsurance fund that helps keep premiums down by paying claims for certain high-cost conditions. Connecticut has not asked for a waiver. But the state has established one thing on the delegation’s wish list by passing legislation years ago that established its own “essential benefits,” mandating a certain level of coverage or services in every individual health plan sold in the state. Last month, the Connecticut House passed a bill that would match the ACA-required benefits and expand access to contraception. “This bill ensures that no matter what changes on the federal level in the years to come, Connecticut residents will still be covered for these critical services. We’re not creating any new costs – we’re just saying that as a state we won’t go backward when it comes to health care coverage,” said Rep. Liz Linehan, D-Cheshire. The bill has not yet been acted on by the state Senate. The delegation also asked states to do more to enroll their residents in health care policies and demand the federal government give states money for outreach and marketing that the Trump administration has withheld. Connecticut’s ACA exchange, Access Health CT, said it spent about $1 million in outreach during the last enrollment period, money the exchange raised through an assessment on policies sold in its marketplace.